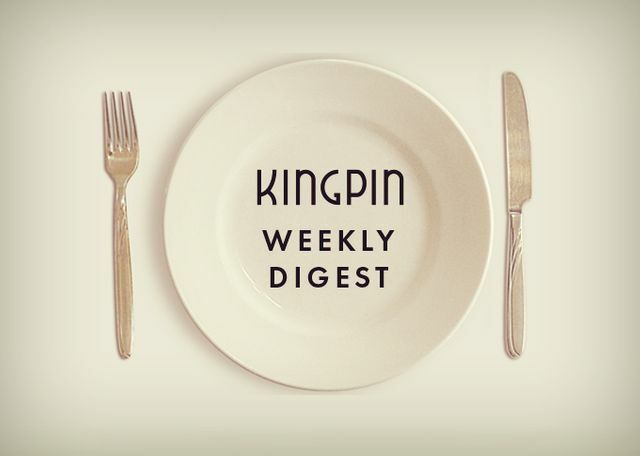 Kingpin Weekly Digest - Celebrate good times! PLUS, Programmatic recovery, the buyer-sales relationship & more. What a week it’s been for Kingpin! We we were delighted to win B2B Tech Marketing Agency of the Year for the second year running at the Computing Tech Marketing & Innovation Awards last Friday at the Brewery. Not only that, but we also picked up the Lead Generation Campaign of the Year award for our work with Quest Software. It was a great evening and wonderful for our work to be recognised for the second year in a row. Many thanks to Computing and to our team for always putting in 100% for our clients. ...now back to the news, and those four letters just won’t go away… GDPR (yes, we’re still talking about it) appeared to have the forecast apocalyptic impact on programmatic advertising, but is that still the case or was it merely a bout of last-minute panic? As we recently discussed, a number of factors contributed to a decline in programmatic ad spend in the days following GDPR implementation. Some clients were cutting programmatic buys from between 20 and 50%. But Digiday now reports that ad spending has returned to pre-GDPR enforcement levels. Not only that, but panic now also seems to have turned to pragmatism. Two media sources told the publication that advertisers were convinced to buy more programmatic ads after publishers reported opt-in consent rates hit around 75% since the new regulations. But there have been in shifts in programmatic spending, with advertisers turning away from third party data and opting for direct deals with publishers or contextual targeting strategies over audience targeting. How do buyers view B2B salespeople? What is the relationship between buyers and B2B salespeople? Stereotypes would suggest that buyers generally distrust vendors, but new research discussed by MarketingProfs found that nearly two thirds (65%) actually hold vendor salespeople in a positive light. Only 3% take a negative view while 32% are neutral. Despite this, just 32% say sales teams have exceeded expectations in their experience. And less than quarter (23%) cite talking to salespeople as one of the top three resources used to solve business problems. The top resources were subject matter experts, either from industry or third parties (43%), past experience with the vendor (35.8%), and vendor websites (35.4%). Instead, 70% of buyers say they prefer to engage with salespeople after they have fully defined their needs. There is a growing pressure on marketers to demonstrate how their efforts are driving revenue, especially when marketing budgets have increased. According to Marketing Land, this has resulted in moving away from focusing on visibility, traffic and conversions to measure marketing success. Today’s B2B marketers are more concerned about lead quality and pipeline impact rather than lead volume. The 2018 Demand Generation Benchmark Survey Report found that marketers must now be able to accurately measure and improve: marketing-qualified leads (MQLs) and sales accepted leads (SALs) (33%), pipeline leads influenced (30%), total leads (14%), and target accounts engaged (11%). Marketing Land also recommends looking at account penetration, pipeline velocity and deal size in order to show business leaders how your marketing efforts are positively impacting sales and revenue. We’ve said it before and we’ll say it again: B2B buyers are increasingly seeking and expecting customer experiences similar to those found in the B2C world. Accenture’s Living Business report revealed that not only are British businesses failing to meet these customer demands but the failure to do so means they could lose up to £107bn in revenue. That’s because more than half (55%) will generally switch companies if their needs are no longer being met, while 47% get frustrated when businesses fail to use personal information to provide more relevant offers and interactions, Econsultancy noted.